Wine dinners and tastings are now being scheduled in the Tiedemann On Wines state-of-the-art dining and conference center. In last week’s blog I wrote about our first Tiedemann On Wines Wine Club event. It was a really enjoyable evening … tasting Spanish wines and a few of my Glenwood Cellars wines. 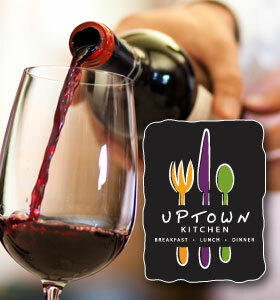 The event was held at the Uptown Kitchen Restaurant, who by the way, was our first Wine Club partner. In this week’s blog, I want to tell you about an additional offering we have added to our Tiedemann Wine group’s array of wine activities. Tiedemann On Wines is now hosting wine dinners and tastings in our newly renovated state-of-the-art dining and conference center located in our facility here in Elkhart. It is a beautiful space offering an ideal atmosphere for our wine events. This isn’t a new concept in the world of wine, although it is a new undertaking for us. Wine dinners and tastings are not only enjoyable and educational but I believe are an integral part of the culture and lifestyle that wine is so much a part of. For businesses, wine dinners or tastings are a wonderful and distinctive way to entertain clients, guests or network with your employees and create a team-building experience. 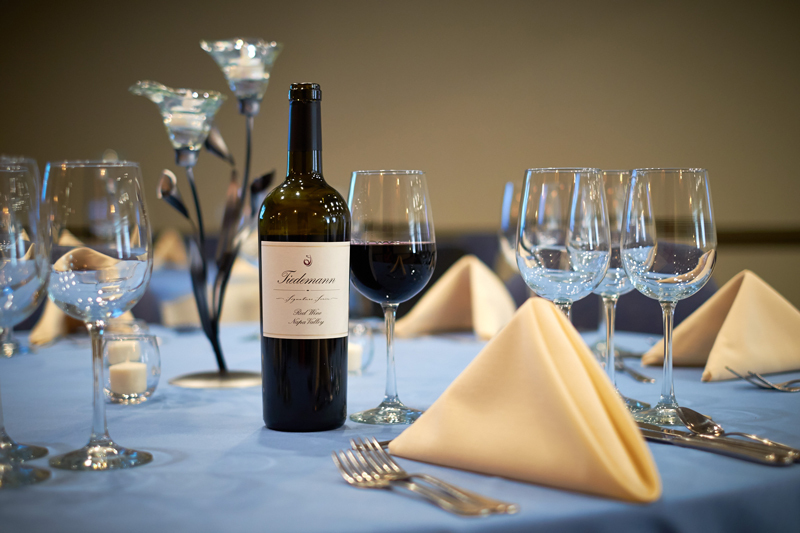 Our goal is to not have just a dinner with wine, but create a memorable event for you and your guests. 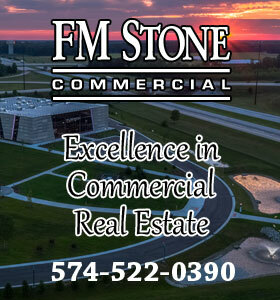 In the recent past, we have hosted events for such local companies as HiSpec Wheel & Tire, Williamsburg Furniture, Jayco, Business Furnishings and Old National Bank. We have even done wine tastings for business groups such as WIB-Women In Business Northern Indiana who use our conference center monthly. In the past weeks, we have held two different types of wine events for Old National Bank. A client dinner and an open house style event for friends and clients of the bank. The feedback on these two events has been very positive. 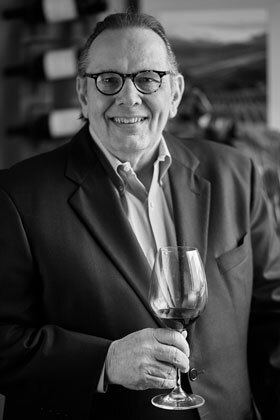 Carl Tiedemann personally selects the wines served at all wine dinners and tastings held in the Tiedemann On Wines dining and conference room. We try to cater to your every need by providing a distinctive corporate experience you won’t find anywhere else. I personally select the wines and Mrs. Tiedemann works with local caterers and chefs to provide exciting food dishes paired perfectly with the wine selections. To add a touch of excitement to an event we can select wines from different countries. For example, while our friend Juan Barreda from Spain was visiting us we put on a Spanish wine dinner for Old National Bank. All of the wines poured with the dinner were from central Spain including ones from Juan’s family’s winery. Generally a group of 16 to 24 people seems to work out the best both for general networking (I think this true wherever the event is held) and especially for the size of our facility. Events should begin between 6 p.m. and 6:30 p.m. and start with a short wine tasting period and then have food served around 7:00 p.m. The event is best to conclude about 9:30 p.m. to 10 p.m. Three hours of wine drinking is enough for most people. We are very conscious of everyone’s need to drink responsibly and not drive after having too much to drink. Depending on whether we are serving small plates or a full dinner, we like to pour three to six different wines. The food is paired with each wine. While each wine is being served I, or our guest winemaker, give a short history of each wine. We also provide written tasting notes to go along with each wine. The evening’s chef will also speak on the food he or she has paired with each wine. 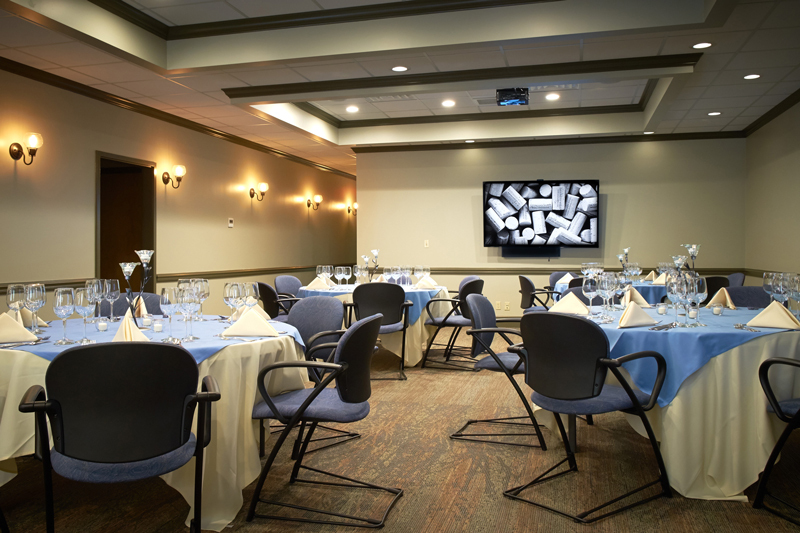 Because our conference and dining center is state-of-the-art technology wise, we are able to provide custom AV programs that appear on flat screens positioned throughout the room. We like to include all of the guests in attendance in the AV piece. With the internet and video capabilities we have in place, we are able to do live interviews and wine tastings with winemakers in other locations such as Napa Valley. For the Jayco dinner, we had winemaker Brian Nuss (who makes the Glenwood Cellars Cabernet) in the ToutSuite studios in Napa along with our good friend Didier Loustau. We had an interesting discussion between the fellows in Napa and the Jayco group in our conference center. Isn’t technology amazing? What a fun evening that was! Pricing is a little difficult to determine as it depends greatly on the wine selection and the food served, along with the additional items you select to be a part of the event. Generally, the cost is between $100 and $275 per person. Once all of the details of the event are worked out we can provide a breakdown of the costs. If you would like to arrange a dinner or discuss the possibility of one, you can drop me an email at carlt@thetiedemanngroup.com or call me at 574-296-1300. We would love to establish a time to show you our facility and discuss the many wine dinner and tasting options. As always I appreciate your support of our wine blog and encourage you to share it with family and friends. If you care to share your comments on the blog posting or other topics please do so in the comments sections below. Very happy you’re doing this Carl! I remember when you first started talking about it and now it’s finally happening! I’m going to share with many of the businesses I work with. Fantastic idea…love it! Hi Kathy. I appreciate your support of Tiedemann On Wines and am happy to have you spread the work on this new and exciting opportunity.